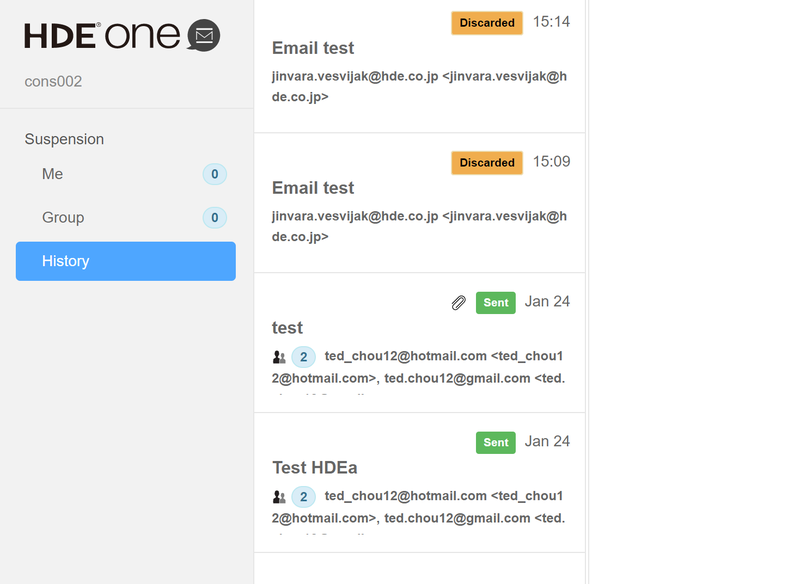 This article consists of instructions on how to properly use HENNGE Email DLP User Console **Note that this guide is for New version of HENNGE Email DLP. 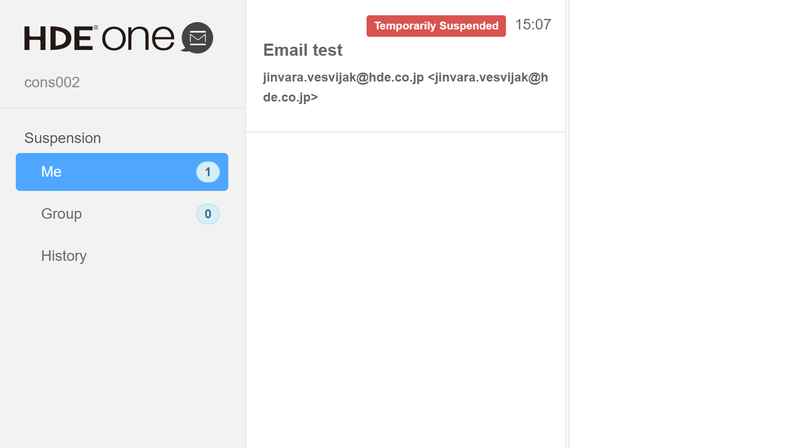 ☆ 1 - In [Me] menu, you can check all your emails that are currently being suspended. ☆ 2 - You can check more details of the email by clicking on the email log as shown below. 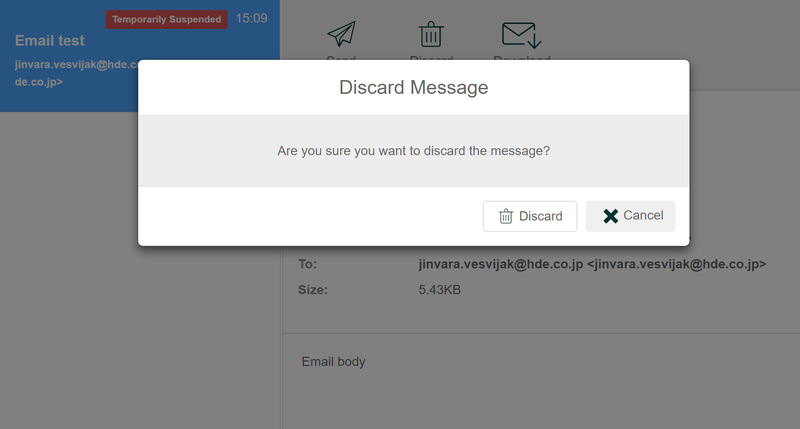 ☆ 3 - Once you confirm the email content, you can choose to "Send" or "Discard" the email right away. ☆ 1 - In [Group] menu, you can check all the emails that are sent by other members in your mail group that are currently being suspended. ☆ 2 - Similar to the operation above, you can also choose to "Send" and "Discard" on behalf of the other members in the group. In addition, you can also choose to "Stop" the email from being automatically release from temporary suspension box until the sender has confirm the email by themselves. **Note that the email that remains in Suspension box for over 10 days will be deleted automatically. ☆ - In [History] menu, you can check 100 latest emails that have been suspended as shown below.